Below are several books that all relate to firefighter development. If your looking to further develop within the fire and rescue service then this selection of books is a must to help and assist for the promotional rollercoaster. It’s not always easy knowing what to include in your application form and most applicants miss out the most critical factor to their answers every time. This practical e-book shares the key to creating an application that will easily convince a selection panel to pass you to the next stage. It uses step-by-step exercises to keep you interested and engaged in the process of masterminding the best application possible. These are skills which you will use again and again throughout your career, so well worth the investment. This highly practical, best-selling e-book helps firefighters at all levels to deliver an outstanding interview performance. 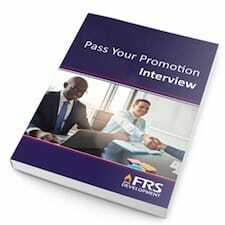 This hands-on guide will develop your understanding of what an interview answer needs to cover, how it needs to be structured and what you need to focus on each and every time. Most candidates think they know what they need to do to impress the interview panel, but there is actually a lot more you can learn and use to your advantage. The thought-provoking and incremental exercises will build up your interview answers in a logical way, leaving you confident, prepared and ready to demonstrate your full potential. Whether you are facing an ADC or a different method of evaluation for promotion, learning about the strategies, formats and criteria of Fire & Rescue Service assessment processes is an essential part of your preparation. This informative and hands-on e-book is the only professionally designed, highly specialised and proven guidance available. 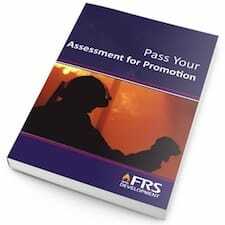 If you are considering promotion you may have concerns such as; what will the assessment tests be? What is the correct approach to different tasks? How can I do myself justice and prove my potential? This e-book addresses all of these issues, and more, leaving you confident and prepared for this important stage of your career. 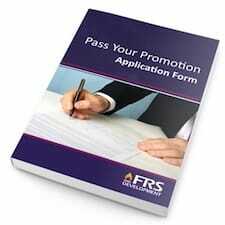 A Situational Judgement Test (SJT) (also known as a Managerial Judgement Test) is being used by more and more FRS. Take our short, mock SJT and try out the sort of questions you need to be prepared for. Find out what you got right, and wrong, with explanations why, to gain an insight into your own performance and where you need to improve. You can take this on-line test now!